You can count me as one of the biggest Prometheus fans on this little planet. Myself, my twin brother, and our friend Mike, have had countless discussions where we bandy about our theories of Prometheus over craft beers. I define a nerd as: showing extreme passion over something that is ultimately pointless. In this case, I am a nerd. 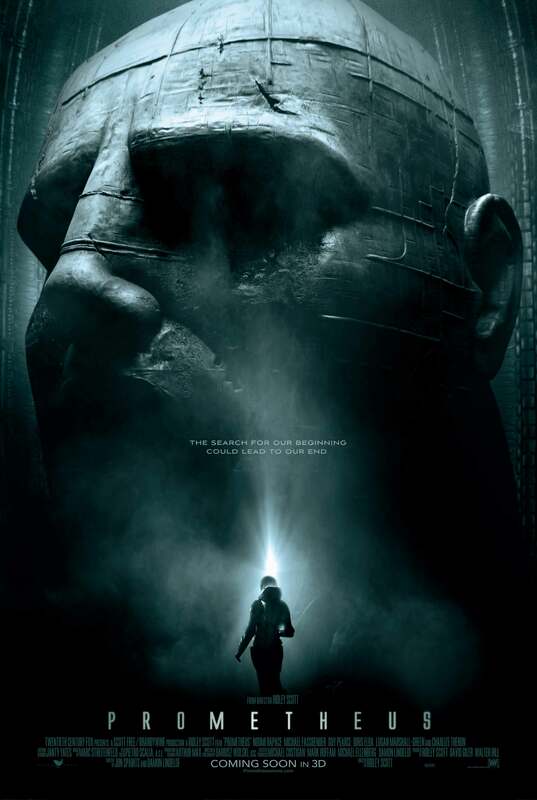 The obvious, is that Prometheus is a prequel to Alien. Prometheus explores the origin of The Engineer (the superbeing) at the beginning of the 1979’s Alien. In addition, it explains the Alien itself as a weapon of mass destruction. The “weapon” has overcome it’s creator in both movies. A possibility is that the weapon has eventually destroyed the race of superbeings — all but the lone survivor in Prometheus. Ridley Scott is eventually making a Prometheus 2 where they explore exactly where the superbeings have come from — or what might of happened to them. In Prometheus we see the first incarnations of the Alien, and how it takes on the form of it’s “host”. The Engineer at the beginning of Alien (1979) is simply another superbeing military craft that has been overcome by the weaponized Alien and crashed. When the Alien boards the Nostromo, we see it first in it’s “human form”. [In the Alien 3, the alien takes on the characteristics it’s host — a dog]. It’s rumored that Ridley Scott designed the beginning of Prometheus to reflect the religious perspective of the “Illuminati” (or the global elite). It’s also rumored that the Bilderberg Conference — an annual meeting of the global elite — is actually an Eyes Wide Shut style of worship [Warning: NSFW] to “the superbeings”. The Illuminati (are rumored to) believe that these beings seeded the earth (with their DNA), and we are actually the earliest stages of the eventual superbeing. I probably have your attention now right? What’s fascinating to me is the evolution of The Engineer. At the beginning of Prometheus they are creationists — wearing robes and loin cloths (alternate scenes in the Prometheus Bluray). Their spaceship is actually a saucer shape like we are accustomed to seeing (or think we see) on earth. This suggests, at this point, they are wise and philosophical. The superbeing then sacrifices himself to create life on earth. By the time Prometheus reaches The Engineers, they are militaristic, violent, and evil. It’s apparent that they decided 15,000 years before to send their weapons back to earth to either destroy, or experiment on early humans. Fortunately for our species, their own weapons overcame them. Their spacecraft is also now in an ominous, demented horseshoe shape. When the explorers reach the weapons silo — it’s obvious by the giant superbeing sculpture (pictured) that they have begun to worship themselves. This suggests they have a fascist intent to “purify” the universe. That’s my geeked out take. If you want to go really down the rabbit hole, check out this excellent post from Reddit. I posted this song back in 2012, but have since deleted it because the arrangement and sound were absolutely terrible. Although some people really liked my original version, I thought it was lame. In addition, I’ve also corrected the Game of Thrones and The Last of Us themes as well. I could let this go any longer, because Harry Gregson-Williams’ Life is one of the best space-movie themes ever written. Much like Interstellar, I want this to be the quintessential guitar version of this song. Hey Evan. Great tab. Absolutely love this one … some of the chords and chord variations are simply beautiful and it’s not that hard to play either so you can really concentrate on the expression you put in it more than the technical aspect, which I appreciate. Just one thing. In your video between 0:57 and 1:00 you play the 4th and the 3rd fret on the G and the B string when your tabs say 5th and 4th. I don’t know if you want to change that in your tabs but it’s a bit confusing. Great tab anyway … and really fun to play. Thank you. Thanks for letting me know Daniel. I write so many tabs that I can’t believe that hasn’t happened before! I want to see the movie and play the song so bad. Your great at wrighting these tabs. Also, i have been wanting to play this guitar song in the movie Midnight In Paris. Its a catchy tune, and i think you could make a nice tab for it. Wow the Drop D tuning and Capo position are amazing. It’s so much fun messing around with the open chords making movie like calm relaxing music. I’m really liking this tab and these chords. I never knew my guitar could sound like that! Thank you! You’re welcome Juan, thanks for commenting!